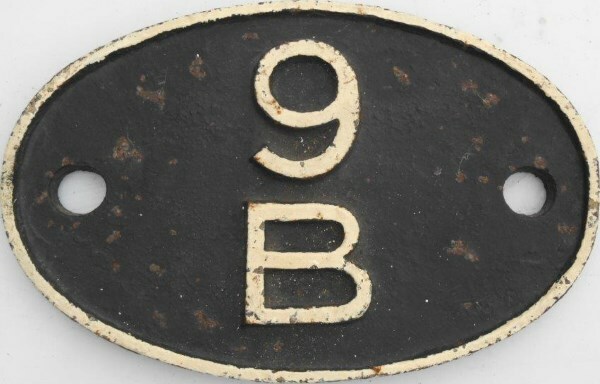 Lot 126 C/I SHEDPLATE "9B STOCKPORT EDGELEY". LMS Pattern. Front Restored.